before activated the Do Not Disturb service i was getting above 7 sms and same as above 5 phone calls from the operator for some stupid offers .but thanks to TRAI (Telecom Regulatory Authority of India)now you can stop that whole things so how to stop that sms ad or calls ? 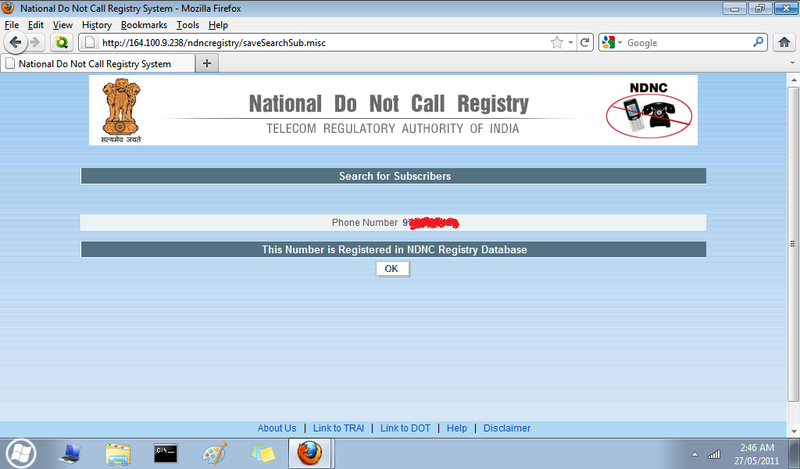 To prevent from SMS AD in your Mobile,Register to NDNC(National Do Not Call ) Directory.To Register in NDNC Registry – Call 1909 (toll tree) or SMS START DND to 1909 (toll free). In case you want to de-register yourself from the NDNC registry SMS STOP DND to 1909 (toll free).It should activate in 7 Days.